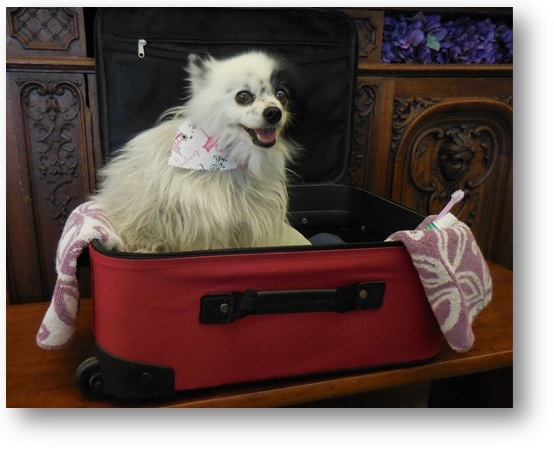 We prepare interstate and many international health certificates for your pet’s travel. Requirements vary for each destination, so we ask that our clients research the USDA/APHIS website to determine the steps necessary to facilitate an international health certificate. ​International health certificates must be prepared by an accredited veterinarian (all of our doctors are accredited) as well as be endorsed by a Veterinary Services area office in order to be valid. There are specific time requirements for these procedures, so please research your destination and be informed. We are happy to answer travel questions you may have. However, clients are responsible for meeting the timetable and requirements necessary for interstate and international travel. I’m going to be flying soon with my pet- is there anything I need to do? Most airline companies require a health certificate. We advise that you contact the airline company your pet will be flying with and find out what it requires. If your pet needs a health certificate to fly, an examination and health certificate must be completed by a veterinarian within 10 days of travel. How long is the health certificate valid and when should I schedule the appointment? The health certificate is valid for 30 days after it is issued. The exam needs to be scheduled within 10 days of your departure. We need the physical address in Montana from which you are leaving, a physical address at your destination, and the best phone number to reach you at each location. If your pet did not have the rabies vaccine done at Baxter Creek, we need the official vaccine certificate listing the vaccine manufacturer and lot/serial number from the clinic where the rabies vaccine was given. I’m going to be flying with my pet internationally- is there anything I should do differently than a domestic health certificate? Each country has different specifications and requirements to permit animals to enter the country. It is highly advised that you do your research and find out the country’s requirements. The best website to find this information is here. For Hawaii click here.